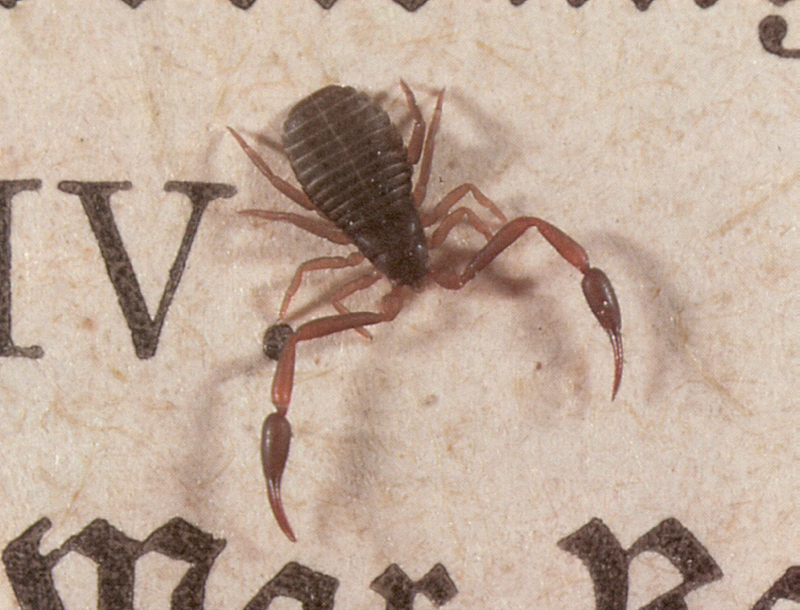 Despite its name, the book scorpion (Chelifer cancroides) is not an actual scorpion. It has two claws like a scorpion… To read the rest of the piece, please click here. This entry was posted in Writing & Reading and tagged book binding, book lice, Book Riot, Book Scorpion, book scorpions, Chelifer cancroides, Liposcelis bostrychophilus, Micrographia, Robert Hooke by Erika Harlitz-Kern. Bookmark the permalink.